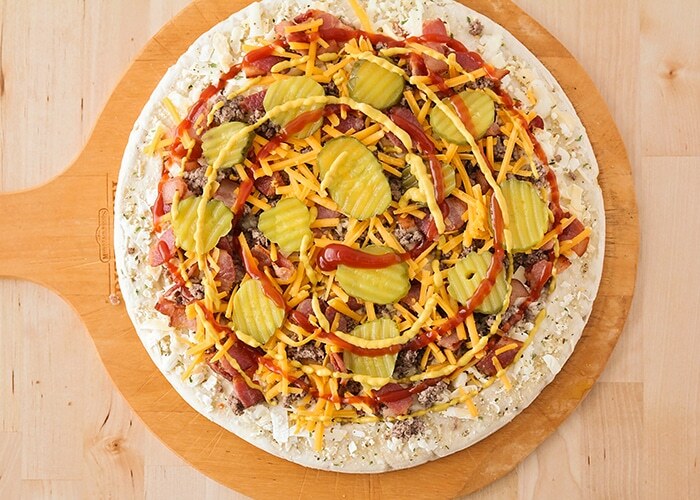 This savory bacon cheeseburger pizza is incredibly delicious and easy to make! 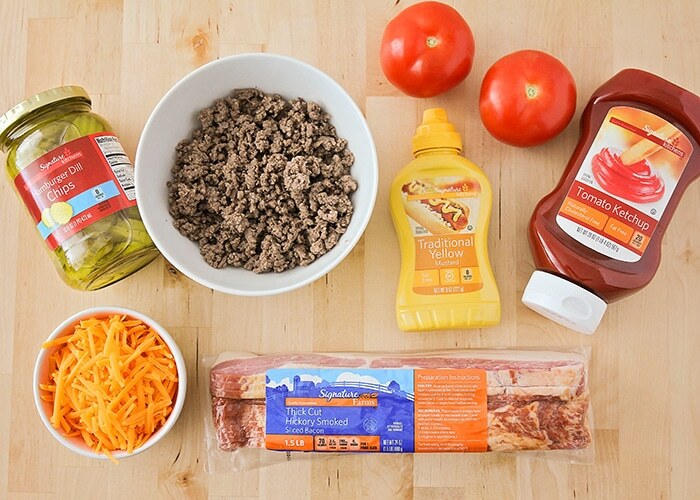 Loaded with bacon, ground beef, pickles and tomatoes this easy recipe tastes amazing! I love this recipe because it is so easy to make! Some of my other favorite easy dinners to make are these Oven Baked Sliders, Baked Pastrami Sandwiches and Homemade Calzones recipes. 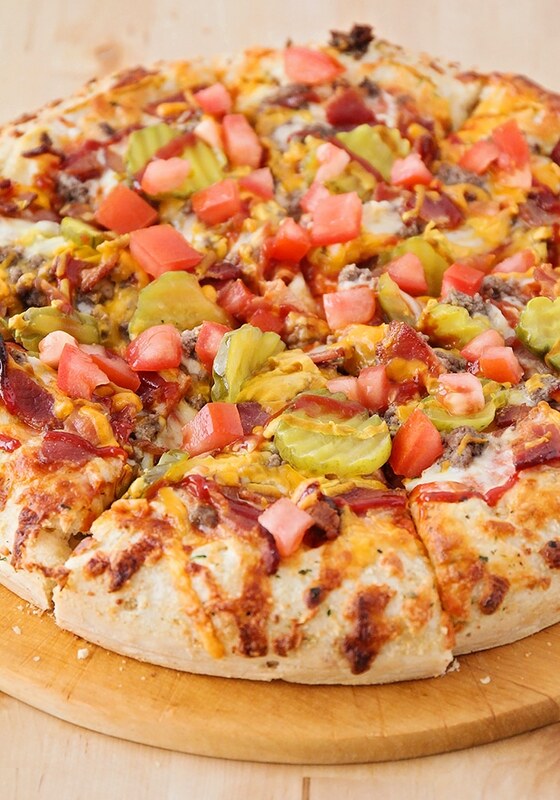 Bacon cheeseburger pizza! Can you believe it? I think this is probably the craziest pizza combination I’ve ever come up with, but it is definitely one of the most delicious! I love bacon cheeseburgers and I love pizza, so why not combine the two? I took everything I love in a good bacon cheeseburger, and put it all on a pizza. It’s a fantastic combination of flavors and textures, and so easy to make, too! 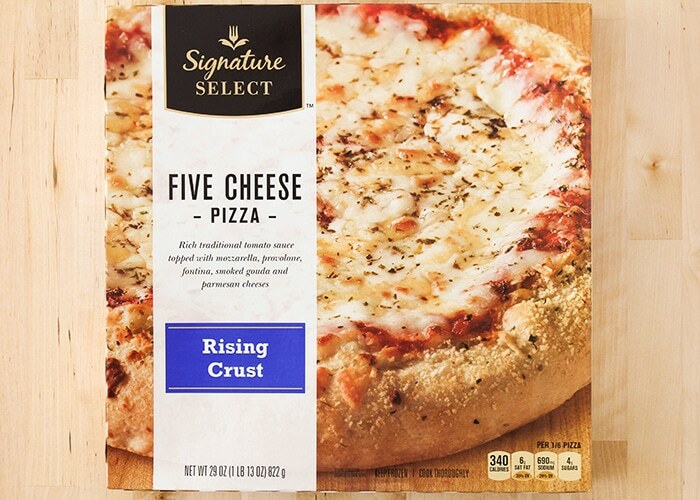 I have to share my favorite time-saving pizza tip… start with a frozen cheese pizza! As much as I love making homemade pizza dough, sometimes I really just don’t have the time. To make this recipe even easier, I just picked up a pizza crust from the store. 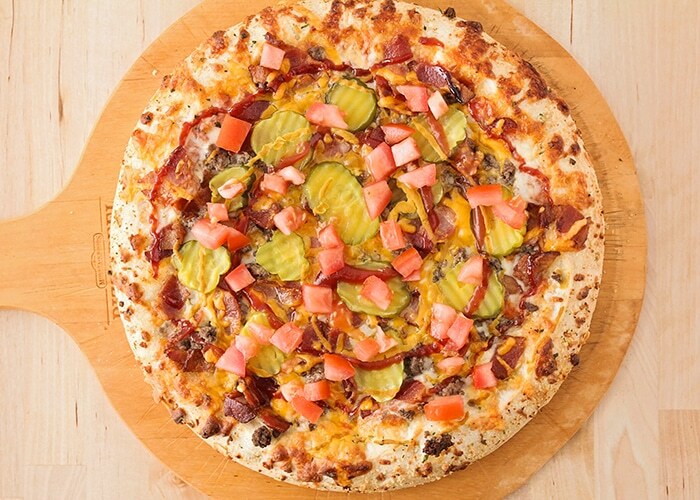 I used this five cheese pizza as the perfect base for this bacon cheeseburger pizza! When I make homemade pizza I love to bake on a pizza stone in the oven. Just be sure to put the stone in the oven when you’re preheating it. Making the pizza couldn’t be easier! 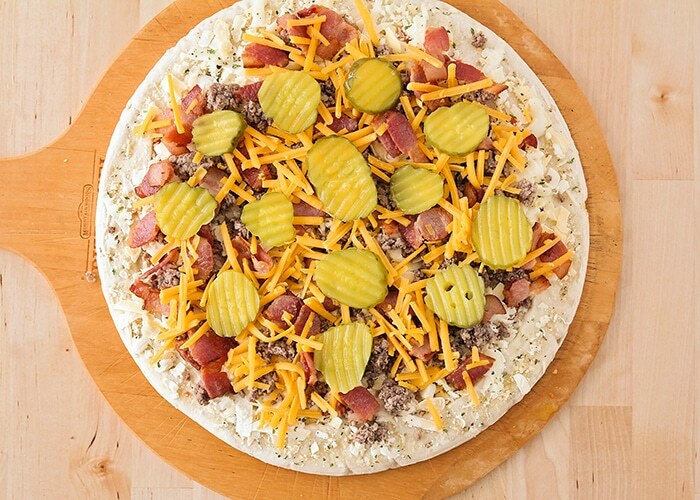 Remove the cheese pizza from the plastic packaging, and spread your ground beef and chopped bacon on top. Next, sprinkle with the sharp cheddar cheese and top with dill pickle chips. After that, drizzle the pizza with ketchup and mustard, and then it’s time to bake! Finally, sprinkle the pizza with chopped fresh tomatoes, and you’re all set! I was a little skeptical about how it would all come together, but the end result was so, so delicious! The pickles aren’t overpowering at all, and all the flavors blend together really nicely. 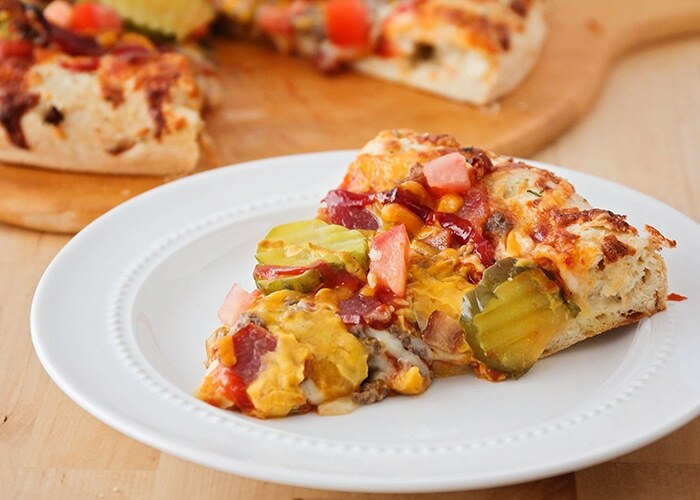 It really tastes just like a bacon cheeseburger, but in pizza form! I served the pizza with a little extra ketchup and mustard on the side for dipping, and it was a huge hit with my whole family. My kids (who don’t even usually like mustard or pickles) loved it and ate two slices each! 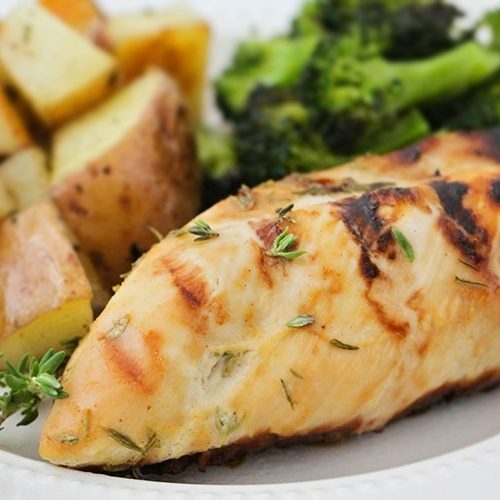 It’s a quick and easy meal that’s super flavorful, and fun to eat too! 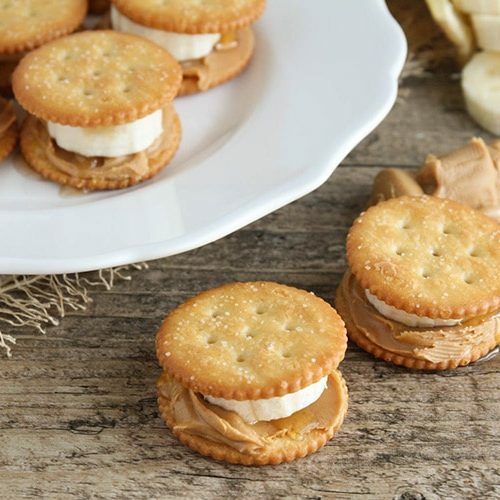 This recipe is super easy to make and only takes five minutes to prepare. 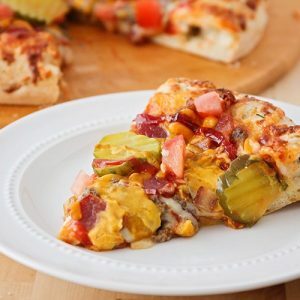 Grab your ready made pizza crust and your cheeseburger toppings and you’ll be enjoying this delicious dinner in no time flat! 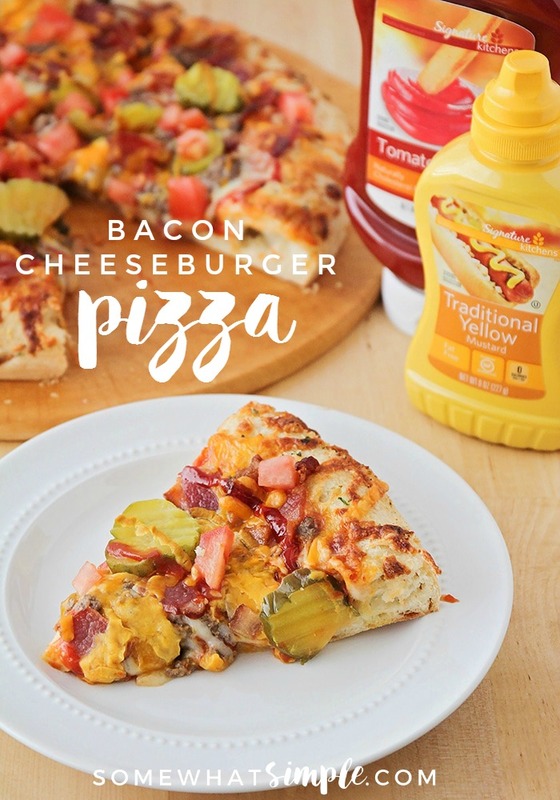 This savory bacon cheeseburger pizza is incredibly delicious and easy to make! It's loaded with all of your favorite burger toppings, and tastes amazing! Chop the bacon into pieces and fry until crispy. 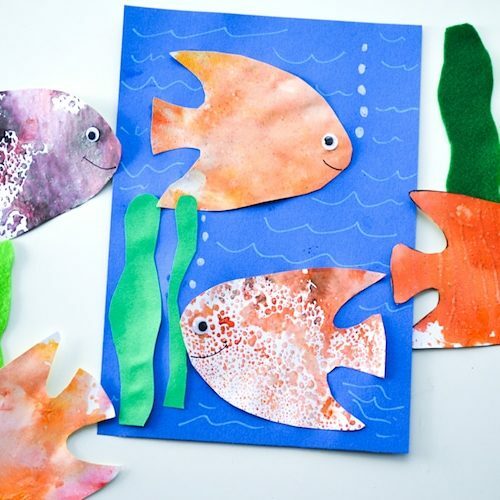 Drain on paper towels and set aside. Remove the pizza from its plastic wrapper. 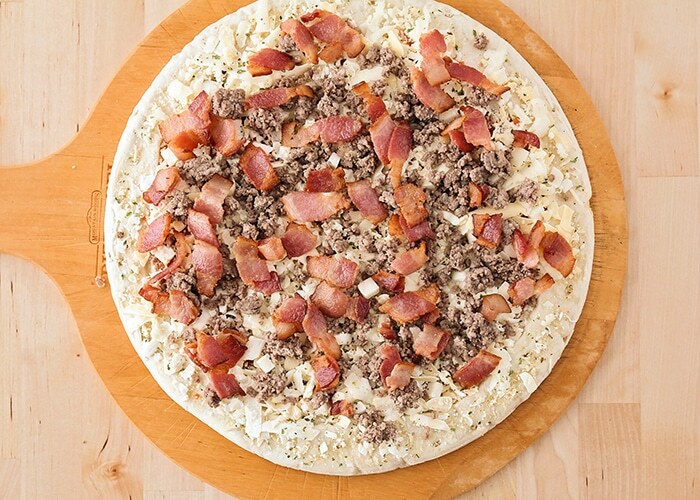 Spread the ground beef and cooked bacon on top of the frozen pizza. Sprinkle with the cheddar cheese and top with the dill pickle chips. 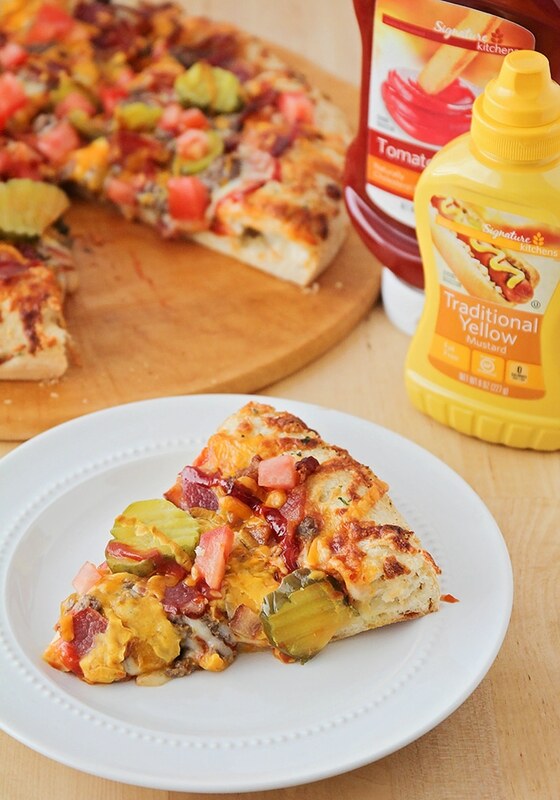 Drizzle the ketchup and mustard over the pizza. Bake 23-25 minutes, or until the crust is crisp and golden brown and the cheese is bubbling. Sprinkle the tomatoes over the top of the pizza. Serve hot with extra ketchup and mustard for dipping. I love how quick and easy this is to get on the table! So perfect for a busy weeknight. Boy is my burger-loving crew loving this recipe! It doesn’t get better than a burger PLUS a pizza. Thank you! This pizza is everything! Dinner perfection! Wow! This was really good! I was a little nervous about it, but everyone customized it how they want and it was a hit! Thanks! I’m so glad everyone enjoyed it!